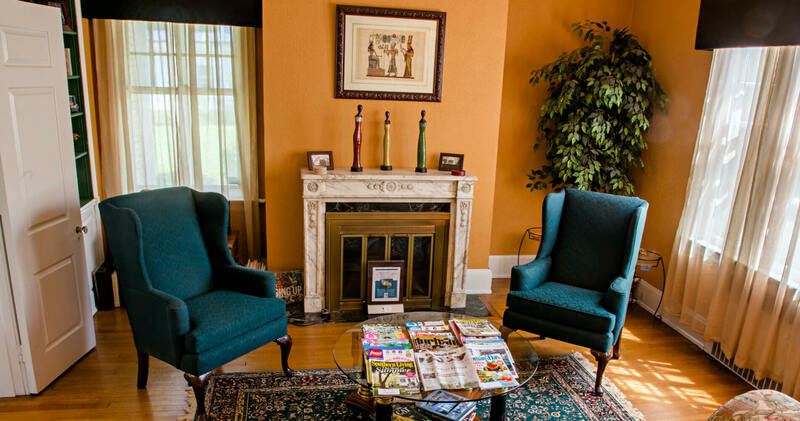 Morehead Manor Bed and Breakfast in Durham wants you to know about six brilliant Broadway shows here in Durham, North Carolina. We are only a 16-minute walk or 4-minute ride (see the map below) to one of the top entertainment venues in the country called the Durham Performing Arts Center (DPAC). This is the true, behind-the-scenes story of how Emilio and Gloria Estefan came from humble beginnings in Cuba to become a crossover sensation at the top of the music world. However, just when they thought they had it all, they almost lost everything. 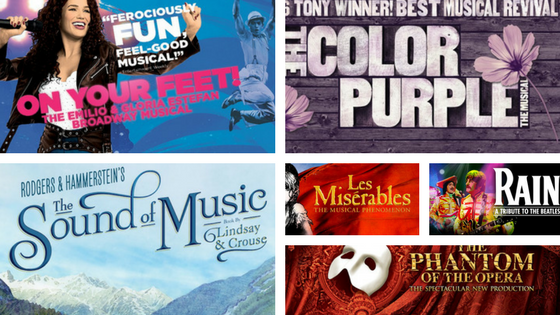 This Broadway musical features some of the most iconic songs of the past quarter-century! With new staging and reimagined scenery inspired by the paintings of Victor Hugo, Les Miserables comes directly from two and a half years of successful Broadway performances. This is the world’s most popular musical (seen by more than 70 million people in 44 countries and in 22 different languages around the globe), breaking box office records even in its 32nd year! This show tells a captivating story of broken dreams and unrequited love, passion, sacrifice, and redemption. This show celebrates the 50th anniversary of the release of Sgt Pepper’s Lonely Hearts Club Band bringing the historic album to life in its entirety. Experience the world’s most iconic band. It is the next best thing to seeing the Beatles. This show returns to Durham as part of a brand new North American tour. Critics are raving that this production is bigger and better than before with exciting special effects including the show’s legendary chandelier. The beloved story and thrilling score will be performed by a cast and orchestra of 52, making this one of the largest productions now on tour. See this spectacular story about a young woman’s journey to love and triumph in the American South. The Color Purple is the 2016 Tony Award Winner for the Best Musical Revival. The hills are alive with a brand new production of Sound of Music. 2015 marked the 50th anniversary of the film version, which continues to be the most successful movie musical in history. This is an exciting story about Maria and the von Trapp family. Guests of Morehead Manor Bed and Breakfast enjoy a fresh, complimentary, gourmet breakfast in our Pecan Dining Room. Explore all that Durham, North Carolina has to offer with its award-winning restaurants, incredible shopping opportunities, two major universities, and much more!